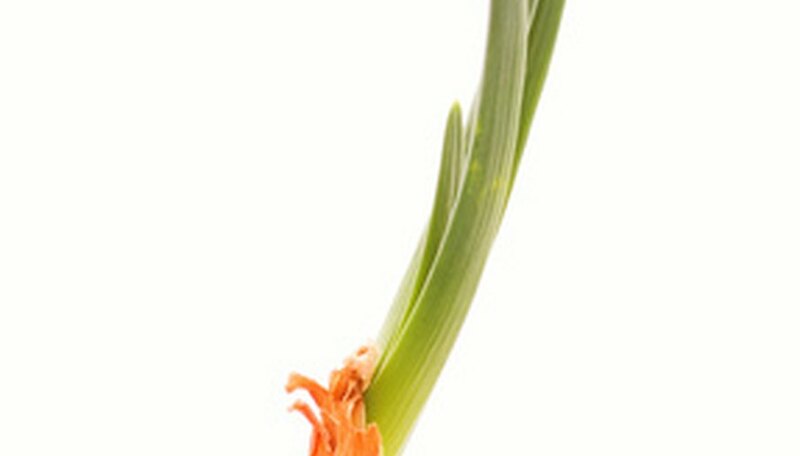 Onions from the grocery store that are neglected in the cupboard often sprout tiny green shoots. These shoots are the beginning of the onions second stage in life -- producing seeds. Onions are biannual vegetables that grow from seeds to bulbs the first year and bolt, or sprout seed stalks the second year. The seed stalks are edible and will continue growing until the original onion bulb's nutrients have been exhausted. Planting these seed stalks will produce seeds, and seeds will produce new onions. Purchase a few onions from your local market or grocery. You can use white, yellow or red. Place the onions in a paper bag and leave them in a dark, dry place for two to four weeks, or until they begin to bolt. The onions are then ready to plant into pots. Plant them so the bulb is just under the soil. Infrequent watering is all that is necessary, as the bolts are using the old onion bulb's energy to grow. The bolts grow seedpods at the top in a few months and fall over. Cut these pods off and put them in a paper bag. They will dry in the bag and you can then extract the seeds. Seeding times for onions differ by geographical area and climate, but seeding typically takes place in the spring just before the last freeze dates. Check with your local co-op, gardening club or garden center to find out the best time in your area. Plant the seeds in rich soil, preferably in raised beds, about a foot apart and an inch deep. Water them consistently during the growing season. 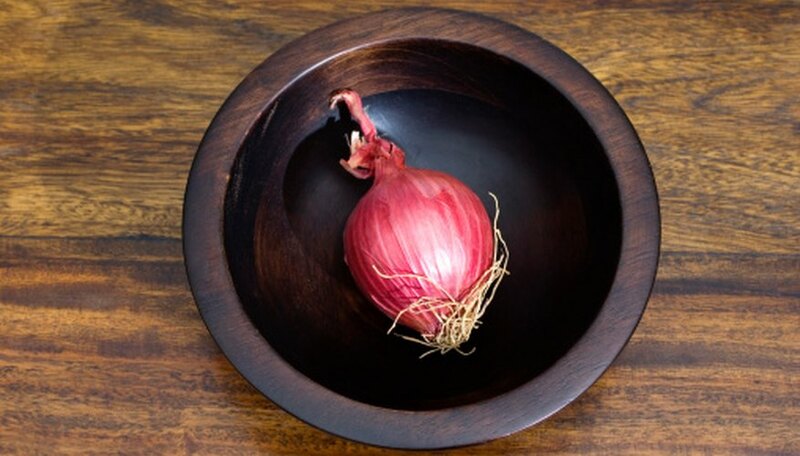 By late summer or early fall, part of the onion that grows above the soil will begin to sag. At this point, you may harvest the bulbs by carefully pulling them out of the ground by hand or using a small trowel to dig around them. Watering your onions during the growing season in a consistent fashion is key for their growth.